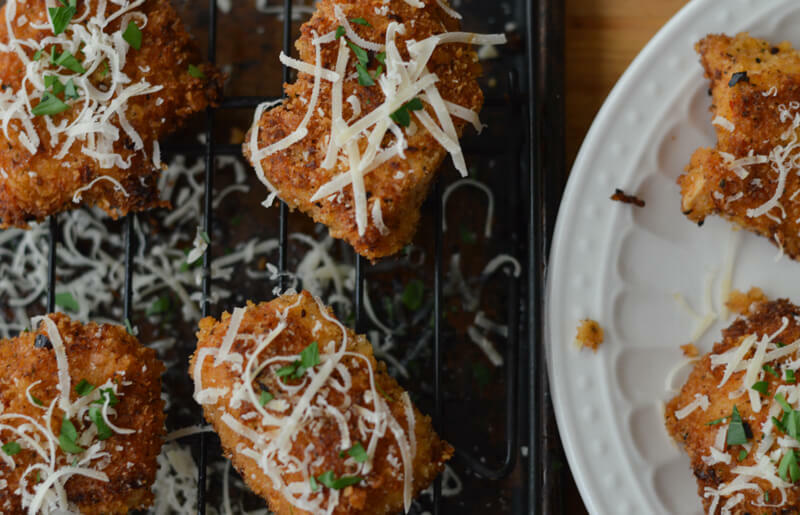 Plump and juicy chicken bites that are coated with crispy panko breadcrumbs. These small nuggets marinate overnight in a seasoned buttermilk brine that enhances the flavors and makes them beyond tender. There’s no way you’ll be able to eat just one. Some of my most memorable childhood experiences were picnics with my family at the lake. And not just any picnic, but three picnics a day for two weeks solid. Yep, two weeks at a time we would sleep in tents and wake up every morning to bacon or sausage wafting in the air. We would spend our mornings or afternoons on the lake, water skiing or tubing. Our German Shepherd, Molly, would run up and down the coastline chasing our boat and barking for us to come in. I remember skiing on my dad’s shoulder’s when I was small and feeling like he owned the world. Sweet memories of the outdoor life. Dinner at the lake might consist of crispy fried chicken and slightly charred potatoes from the cast iron skillet. The taste still lingers in my memory. Those were the days. I don’t recall the bugs or the dirt and grit that was everywhere. But I do remember the times around that picnic table with my family and the “gourmet” meal my mom just pulled off of the Coleman stovetop grill. There is nothing like family, food and the great outdoors. Life was so simple during those summer camping trips. Of course, I didn’t experience it from my mom’s point of view. She had to pack the food, lug it all to the lake and cook every single meal on that little Coleman stovetop. She loved every minute of it though. Cooking for her family was her love language and she spoke it so well. My mom is no longer around, but she definitely passed that love of food and family on to me. Marinating the chicken bites in the buttermilk brine for 24 hours is what makes these nuggets so dang delicious. 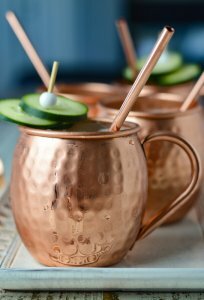 Because of the length of time they set in the liquid, the flavors are infused to the center of each piece. 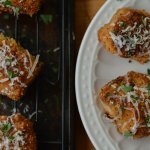 The acid in the buttermilk increases the tenderness of the chicken, while the fat in the buttermilk helps the panko bread crumbs adhere better. 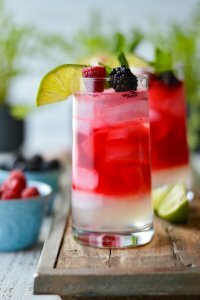 I would highly encourage you to try a brine if you have never done so before. It is what makes the difference between a “so-so” piece of chicken and a juicy, plump one. 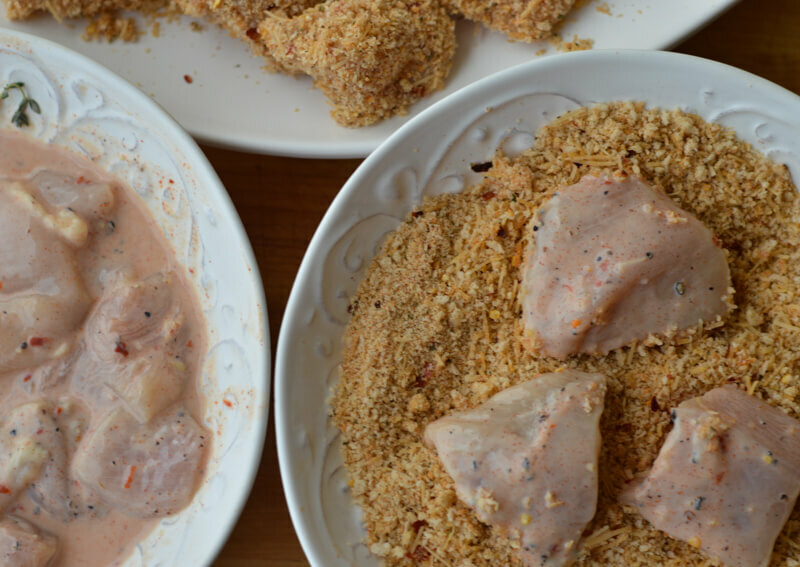 When finished marinating, the chicken can be pulled directly from the buttermilk brine and dredged into the panko breadcrumb mixture. It makes a wonderful coating that ends up golden and crispy. 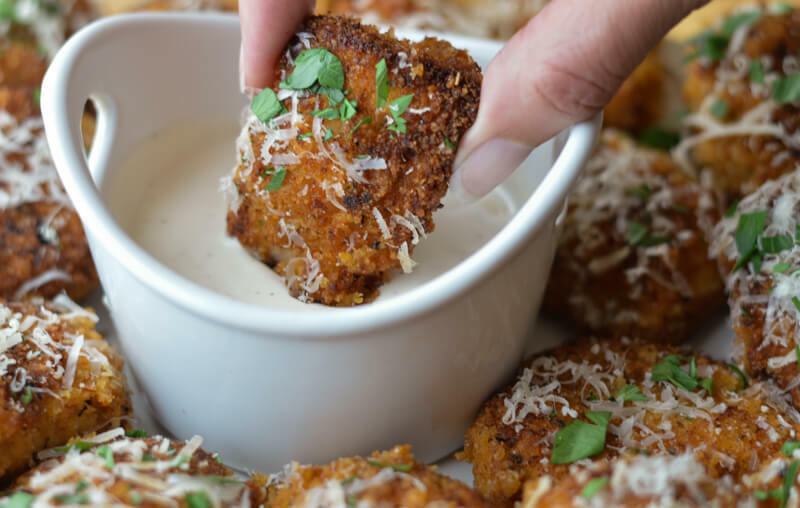 Be careful not to over-fry these Crispy Parmesan Chicken Bites. I recommend frying the bites on medium-high heat for a total of 4 minutes – 2 minutes on each side. Move them to a cookie sheet with a baking rack and continue to cook in a 400 degrees oven for another 5-6 minutes. Use an instant read thermometer until the internal temperature is 165 degrees. Every batch turned out perfect when I cooked them in this way. 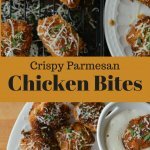 Although this recipe is not the ordinary fried chicken that I grew up with, Crispy Parmesan Chicken Bites are the perfect finger food for your picnic basket when you go to the lake. These little bites are simple to pack and easy to eat. I encourage you to make extra because they will probably be gone before you know it. Don’t forget to include Ranch or Blue Cheese Dressing. They make a perfect dipping sauce for these nibbles. 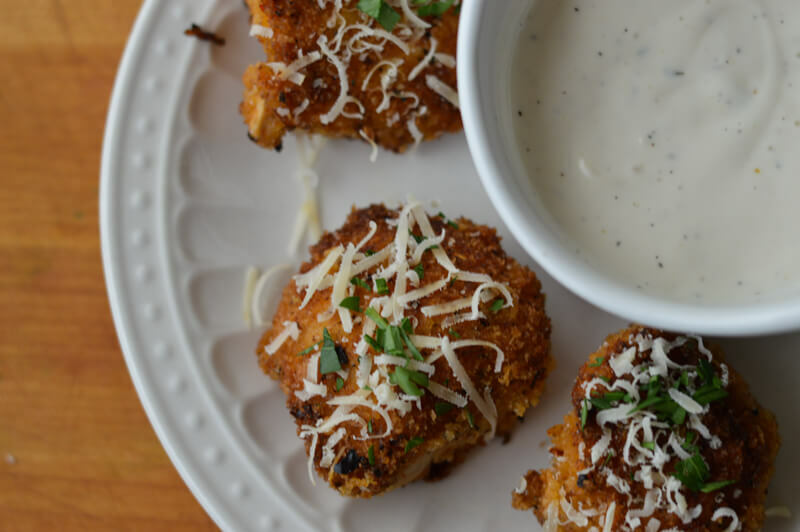 Plump and juicy chicken bites that are coated with crispy panko breadcrumbs. These small nuggets marinate in a seasoned buttermilk brine that enhances the flavors and makes them tender. Absolutely delicious! 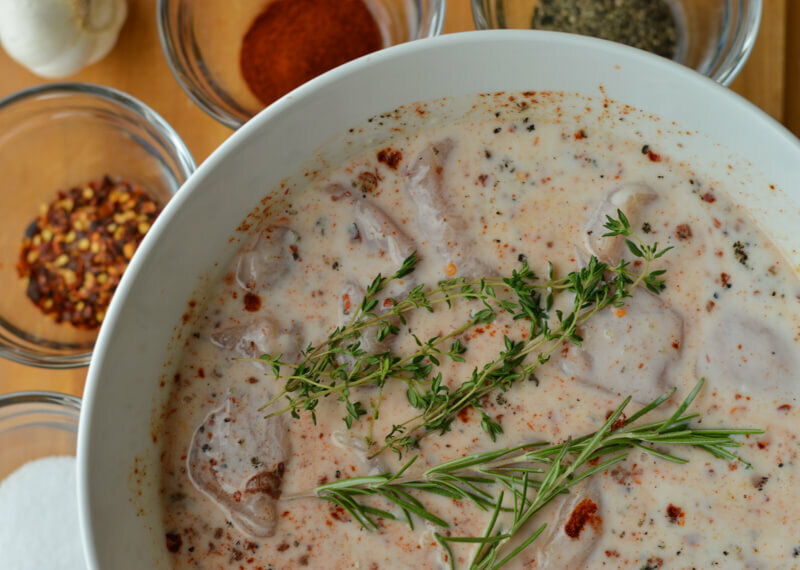 Combine the first nine ingredients of the brine into a large bowl. Add the cubed chicken and transfer to a large ziplock bag. 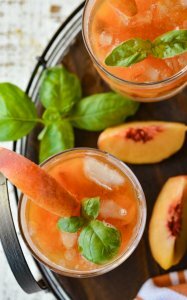 Refrigerate for 24 hours. Combine all of the seasoned bread crumb ingredients except for parsley. Remove chicken with brine to a large bowl and dredge the chicken bites directly from the brine into the bread crumbs. Make sure to coat each piece well. Add enough olive oil to cover about 2 inches of the bottom of a large skillet. Heat the skillet on a medium-high burner until a bread crumb sizzles when added to the oil. Cook in batches about 6 pieces at a time for 4 minutes total – 2 minutes on each side. Remove and place on a cookie sheet with a baking rack and cook in a 400 degrees oven for another 5 or 6 minutes. Using an instant read thermometer, cook until the internal temperature of the chicken reaches 165 degrees. Remove and drain on paper towels. Serve immediately with the extra grated parmesan cheese and chopped parsley. I agree! Brining makes all the difference.